POOL! POOL! POOL! Investors' dreams come true!! Over 2,900 sq ft with 512 sq ft of open decks/porches, this property could not be re-recreated today due to the limitations of the new building rules! Walk everywhere! 1.5 blks to the beach! And, close to in-town restaurants & shops. One of only two homes that comprise the condominium of Maryland Court - NO HOA, NO condo fees, NO shared maintenance! Open floor plan with large eat-in kitchen, NEW SS appliances 2016, family room with built-ins, fireplace & 60" TV. Three master bedrooms and TVs in every bedroom. Screened porch overlooking the pool and front & rear second floor decks. New pool liner October 2016. New sand and pump in pool filter 2017. New HVAC condensers & capacitors 2017. Off street parking for three cars. 2017 Rental income over $115,000. 2018 estimated income $118,000 with over 15 weeks rented - let the $42,000 rental credit pay your closing costs at settlement! 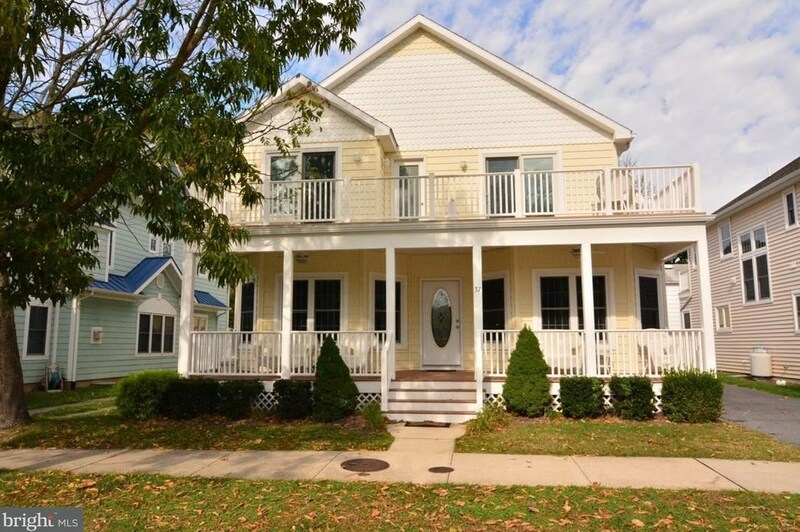 37 Maryland Avenue, Rehoboth Beach, DE 19971 (MLS# 1001565838) is a Single Family property that was sold at $1,850,000 on September 21, 2018. Want to learn more about 37 Maryland Avenue? Do you have questions about finding other Single Family real estate for sale in Rehoboth Beach? You can browse all Rehoboth Beach real estate or contact a Coldwell Banker agent to request more information.